A day trip to locate the trigonometrical (trig) station. Our entry point is from Kanching Waterfalls. An old, faint trail is there but we generally bushwhacked our way and many times we stepped back into the old trail. Major obstacles - ferns, thorny palms and bamboo. 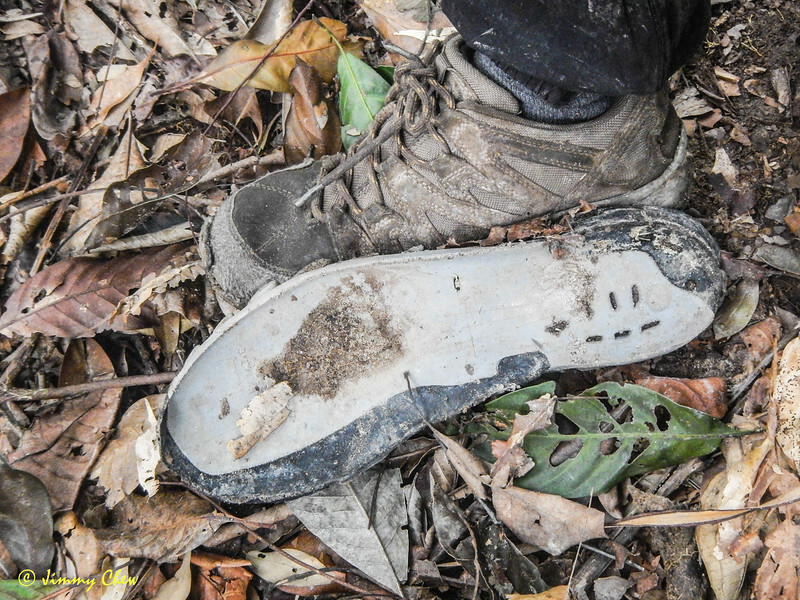 Alan wears size 42 - the sole left behind is more than size 44!